A free and confidential drop in service. Time to talk in a relaxed atmosphere. Help to access benefits and financial advice. Access to counselling and complementary therapy provided by Cancer Support Scotland. Links to other relevant local organisations. Leaflets on cancer topics and help to access quality internet sites for cancer information and support. How to find Macmillan @ West Lothian	Our services are available across West Lothian. Find out where we are and our opening hours. 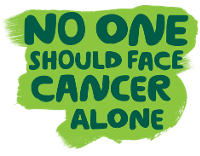 Volunteer with Macmillan @ West Lothian	Could you give some time to support people affected by cancer? Macmillan @ West Lothian News & Features	Catch up with what Macmillan @ West Lothian have been up to!